It was a grilled cheese and tomato soup kind of night in the Rasmussen household. So, I decided to make it fitting for the season. Spread butter on one side of each bread slice. Place bread buttered-side-down on ungreased cookie sheet. Bake for 10 to 12 minutes or until cheese is melted. Remove from oven; place jack-o-lantern bread slice on sandwiches and serve. Cute idea!!! 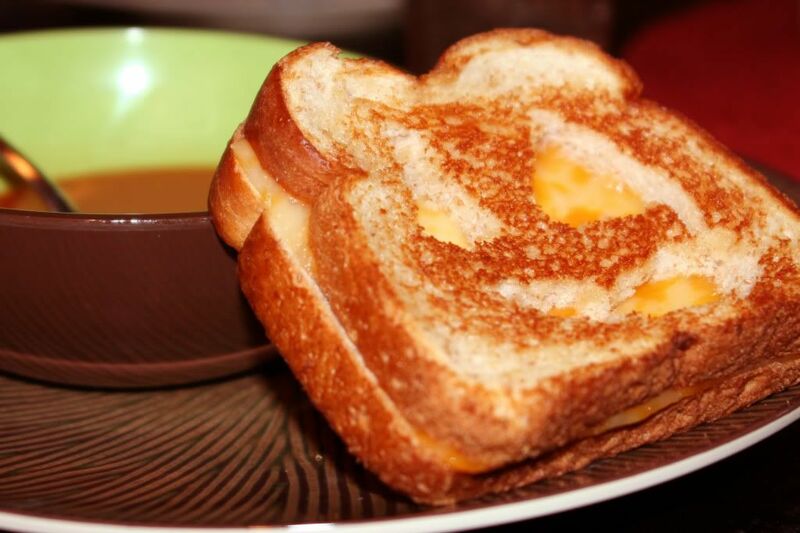 :) we love soup and cheese sandwich night! :) Espe. Makaya! very creative! love sandwich and soup nights!....especially w/cold weather coming.